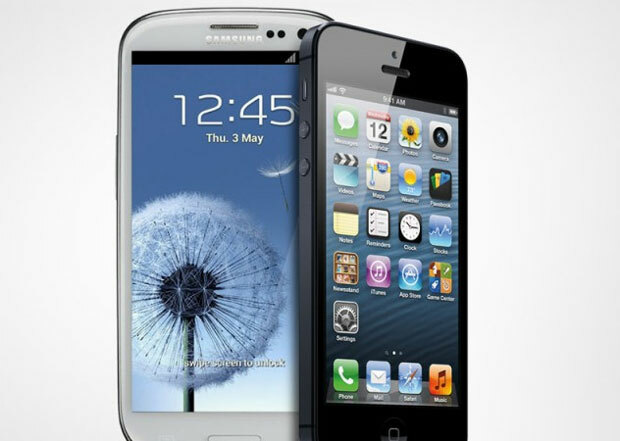 Samsung Galaxy S3 & Apple iPhone 4S are more in demand and popular in UK than the new iPhone 5. This data only reveals that market shift from the iPhone craze. According to the market research data Galaxy S3 is the most popular smartphone for the seventh consecutive month. Galaxy S3 is followed by iPhone 4S and at third place is iPhone 5. The data comes from uSwitch, a site which offers consumer advice, and is made up of monthly sales, pre-orders and live search information. Apart from the Galaxy S3’s continued success, which echoes its global performance, Samsung dominates the rest of the top ten most popular phones chart too, taking five of the total available positions. HTC, LG and Sony manage to squeeze a single device each into the list, with Apple taking the last two spots with the iPhone 4S and the iPhone 5. While some may expect the iPhone 5 to be a close second to the Galaxy S3, it’s actually Apple’s older mode, the iPhone 4S which sits behind Samsung’s flagship smartphone and the new iPhone 5 sits in third. Current UK prices mean the iPhone 4S is available for free on many tariffs, pricing it around £50/$80 less than the iPhone 5 on the equivalent plan, which could explain its sudden increase in popularity. Apple’s much publicized production problems may have hurt iPhone 5 sales more than we know too, with customers perhaps choosing the iPhone 4S instead, rather than wait several weeks for the new model to be re-stocked. After these four comes the LG Nexus 4 in fifth place, an excellent showing considering almost everyone would have purchased it online through Google Play, where it sold out in a short space of time. Again, like the iPhone 4S, the Nexus 4 is available at a very low price point, considering its specification. If Google had provided more stock, one wonders where it would have been placed. In sixth it’s the Samsung Galaxy Ace, followed by the supremely popular Galaxy Note 2 and the Sony Xperia U. In ninth, it’s another new device, the HTC One X+, a position which illustrates how far HTC has fallen recently, as the specification of the One X+ is on a par with the Galaxy S3 and the Nexus 4, yet can’t match either for popularity. Finally, bringing up the rear in tenth is the Samsung Galaxy Ace 2. FIFA WC FINAL Holland VS Spain LIVE!